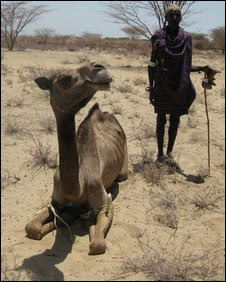 A new insurance scheme has been launched in northern Kenya which offers herdsmen a chance to protect their livestock against drought. The animals are for many people the equivalent of their bank account, so insuring their herds may be a way of avoiding future economic crises. Awesome. Southern Sudan could really use this, there is a huge stock of wealth stored in cattle.